Today is the day The Antbassador will come, to speak words of peace with Her Majesty Queen Antoinette IV. 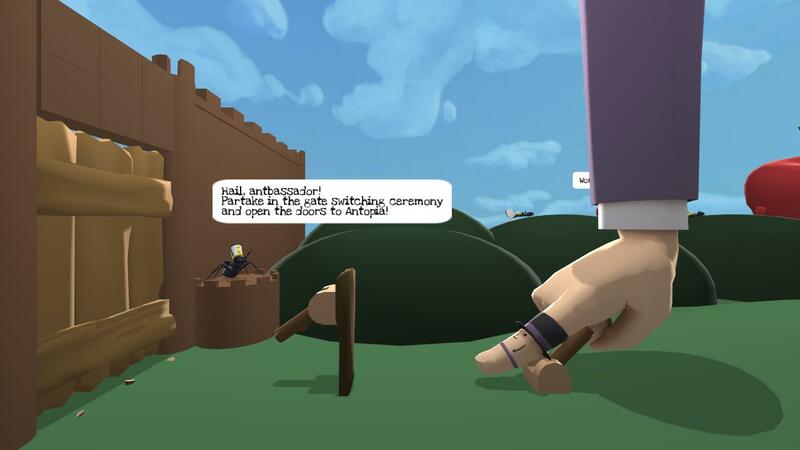 The Kingdom of Antopia has finally grown accustomed to a life without war, and its people are willing to forge an alliance with their one-time foe. If The Antbassador is good and kind, he might well see their worlds connected. Move the mouse to push yourself here and there. Click the mouse to curl your finger. Thank you for checking out Antbassador! Please leave a comment if you have any questions or comments, or tweet me if you make a video or review! Please check the README file for more information! Extract the zip and click Antbassador.exe to play! I saw Markiplier play this a long time ago and decided to try it out. I noticed that this is built on Octodad's engine. Are you part of the dev team for OctoDad? 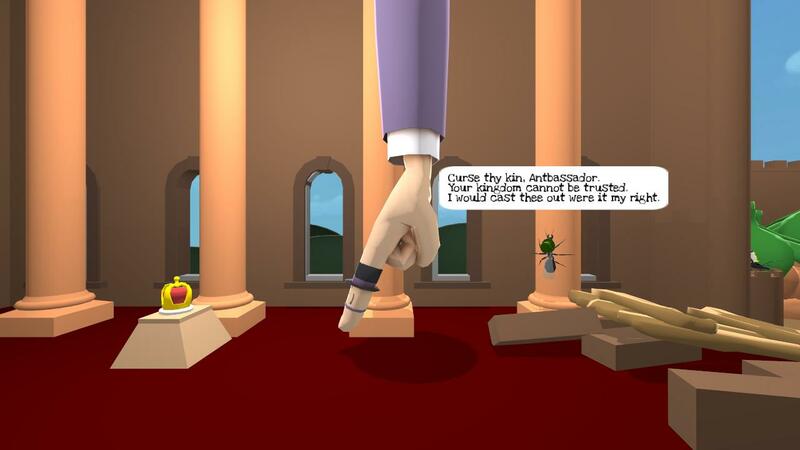 That's right, I'm one of the Octodad devs! As are all the others who worked on Antbassador. It's perfectly fine to mess with the editor and levels, though Antbassador doesn't have as much mod support as Octodad! please make for mac. it would be awsome. 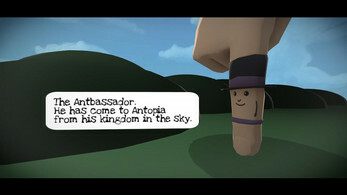 So I'm a giant finger working as an ambassador around ants. SOLD! Do I even need to say more? Good music, interesting controlls and great gameplay. I had alot of fun playing this. Super cute game you have here~ I felt bad for killing the ants by accident, but I admit I laughed at the crushing sound. This game is short and sweet, but I honestly wouldn't have minded if there were more levels or an extended version of this some day. 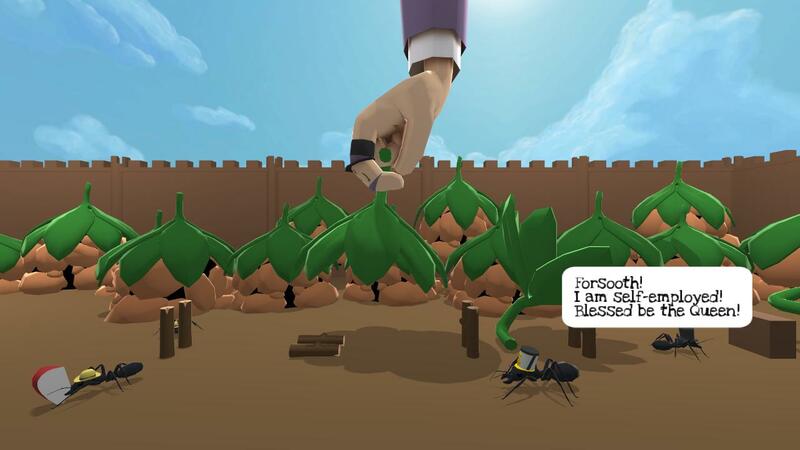 The ants were just so cute, and I loved the way they talked. Wonderfully written, with super unique physics mechanics that I really enjoyed! Just difficult enough to be comedic but not enough to make me rage quit haha. Please, please make this longer! I was having too much fun for it to end! WARNING that our gameplay does contain some swearing! this was such a great little story! The hand physics weren't to difficult or cumbersome which made this so enjoyable! How do you get it the game run? Antonio will never see the light of day again! What a lovely and silly game full of love, anger and passion! :P But seriously this game was really funny and awesome! Please just.. make more levels! its soo fun! Weird how this is only just getting its time in the spotlight, because Antbassador is a pretty fun game. Short, but fun. The floppy finger physics pose an interesting challenge for the player as they try to assist the fragile little ant people and the music suits the quirky tone of everything. Thank you so much for this game was awesome keep the great work. Such a fun little game! This was pretty hillarious, awesome work! Thanks for the sweet game! Keep making stuff peez. This had me laughing out loud. So much fun, and such a different concept with genuine confusing and frustrating parts! Really enjoyed! Haven't gotten around to actually posting this until now! Though! This was a cute, and quirky game truly. I did get stuck on the ants fighting, though that was just me rushing through it over and over again. Great indie game over all!